In this episode I talk with my friend, neighbor, and fellow Snow Creek Rd potter, Courtney Martin. We talk about cooking and the pots we like to use serving meals to friends and family, as well as my recent trip to DC, Courtney’s beginnings as a potter, and some of Courtney’s thoughts on pattern. We also answer your questions! We hope you enjoy the conversation! 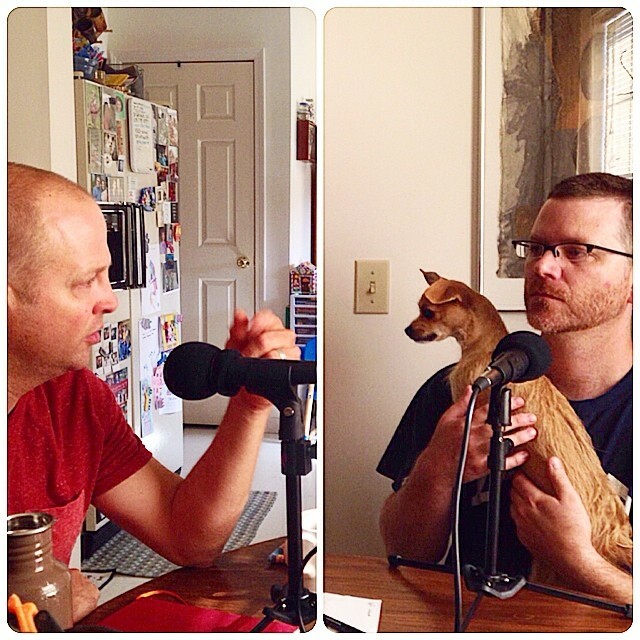 In Episode 5, I continue my conversation with Penland potter, Nick Joerling. Nick has been a member of the community around the Penland School of Crafts for many years and his roadside studio is a favorite to visit. Find out more about Nick here. In Episode 4 I have a rollicking talk with Penland potter, Nick Joerling. Nick has been a member of the community around the Penland School of Crafts for many years and his roadside studio is a favorite to visit. In Episode 3 I begin a series of conversations with my good friend and neighbor Courtney Martin. In this episode I talk with Asheville artist, Lindsay Rogers. We talk about moving to asheville, post graduate school realities, her work at Haywood Community College For you inside pottery listeners we talk about working alone versus in a group situation, commuting and the transition from home to studio. For this first episode Ron Philbeck, Kyle Carpenter and I get together for some serious shop talk. Apologies for the inside baseball talk. But we hope to share some of our thoughts and experiences about being potters.